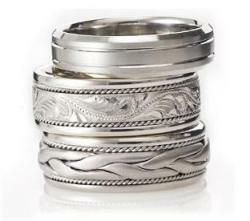 Novell Design Studio, a leading bridal jewelry manufacturer which specializes in product customization, is proud to introduce new and innovative wedding band designs at The 2007 JCK Show in Las Vegas. All new merchandise from Novell will be on display for qualified retailers at booth 5081 (at The Sands Expo on Michigan Ave.), and the latest brochures will be available for download on www.novelldesignstudio.com after the show has concluded. Product previews may also be requested by e-mailing rick@novelldesignstudio.com. Nice ring! a great ring for the couple. Thanks for posting! if you have the chance feel free to visit me back on my site.